We appreciate your feedback about your support experience with WooCommerce, developers of WooCommerce Photography. This helps us maintain high standards on the WooMarketplace, and helps WooCommerce improve. WooCommerce Photography is a tool designed to assist professional photographers with the day to day management and sale of their images for events, or as artwork. From the uploading and setup of photographs to the sale and customer purchase experience, WooCommerce Photography streamlines this entire process and gets you set up in the blink of an eye. 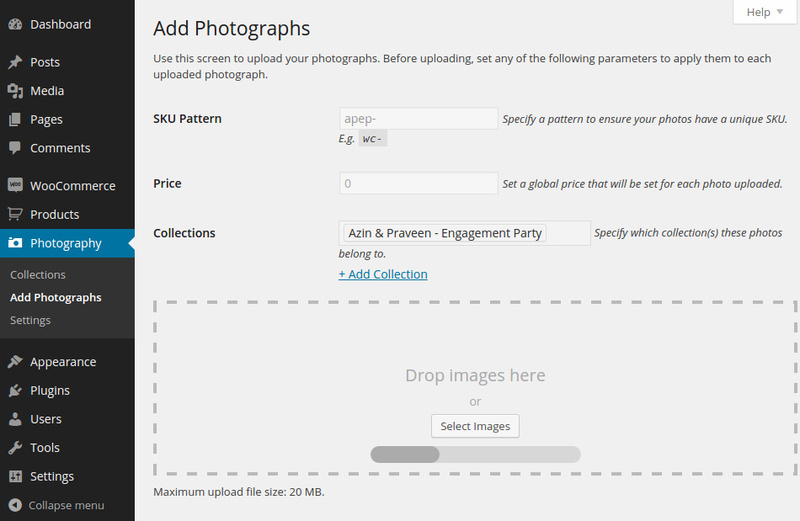 Easy batch uploader for your photographs! 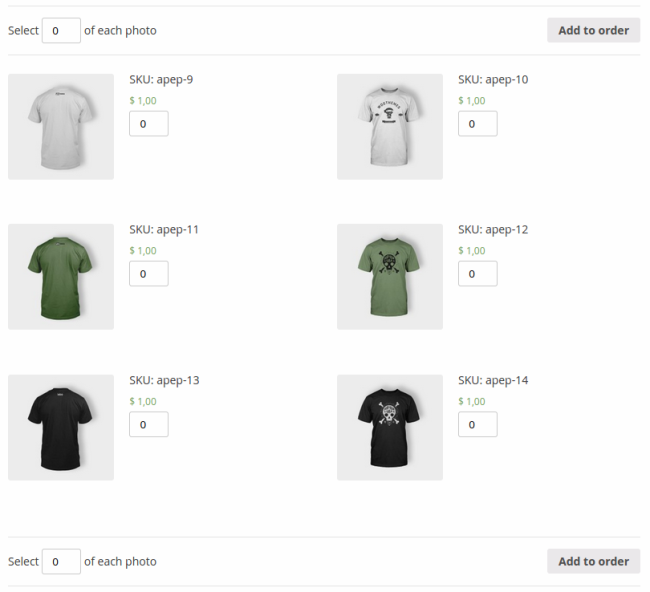 WooCommerce Photography includes a batch photograph uploader, shortening the time it takes to upload photographs to your store and get to selling. Browsing your photographs is the core experience for your customer and sometimes, their only interaction with the photographer. To this end, we’ve streamlined the customer experience to include an intuitive photograph browsing and purchasing experience, making use of the familiar and friendly WooCommerce checkout process as well. Customers view a list of available collections on their “My Account” screen. Intuitive photograph purchasing through WooCommerce. Please note: If you need help selling digital photo downloads please refer to this guide to selling digital downloads with WooCommerce.